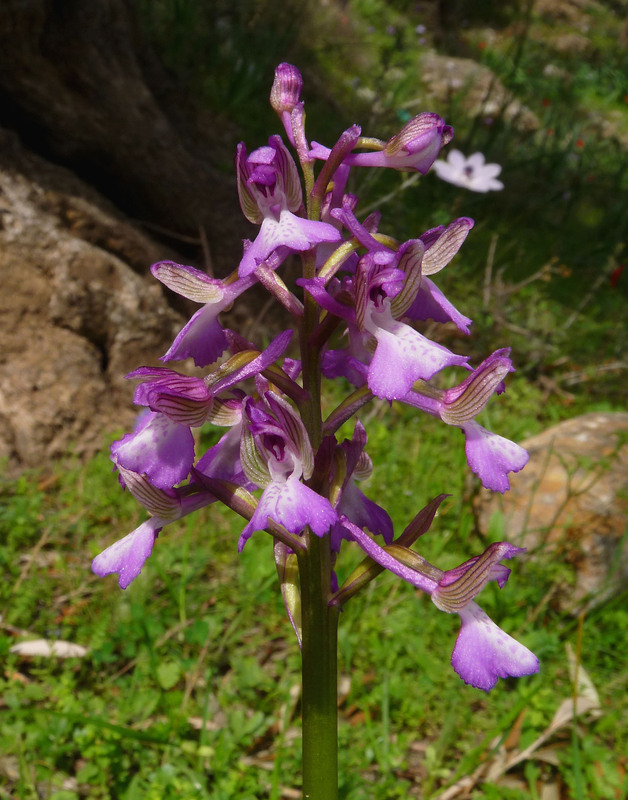 This species is a member of the A. morio group whose name somewhat obscurely means ornate, it was first described from Var in 1827 and for many years was regarded as a subspecies of A. morio. 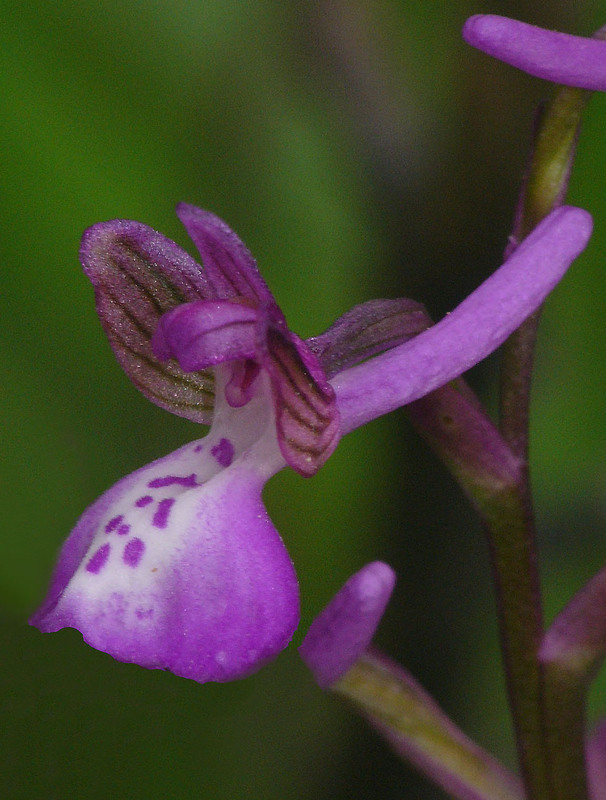 The A. picta type has several distinct features which set it apart from A. morio but finding typical specimens is far from easy, identification often determined purely on the balance of probabilities. The following characteristics are normally accepted as being indicative :- 1. the plant is generally shorter and more spindly than A. morio. 2. the inflorescence is more pyramidal and lax, 3. the lip is less recurved and gives a more spreading, fan like appearance. 4. flower colouration is usually darker and less often occurs in pale pink or white. 5. it seems far more tolerant of calcareous soils whereas A. morio favours neutral substrates. 6. The spur is finer and more upward pointing. None of the illustrations could be described as particularly typical though combining the structure of the plant in photo 2 with the colouration of 4 you would be getting close ! 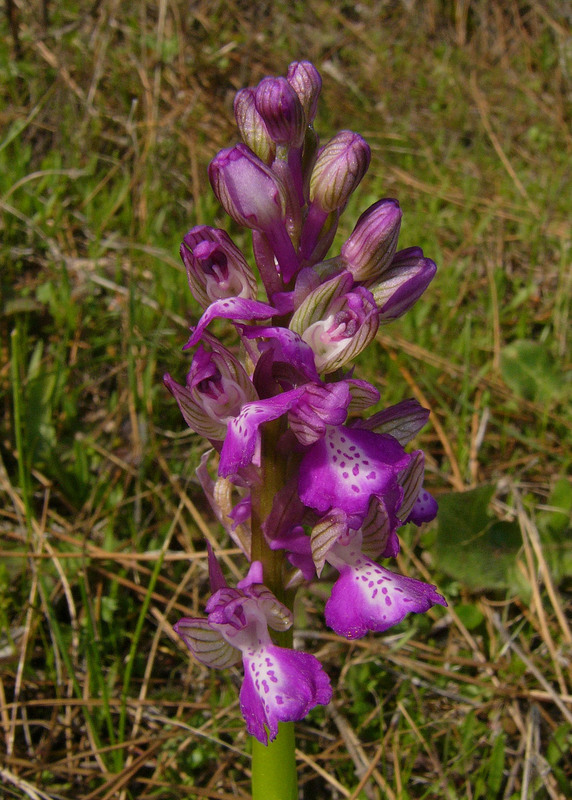 A. picta is certainly polytypical and probably heterogenus with populations varying from each other to a degree that must bring into question the reliability of its species status and also its relationship to A. morio. Its range is extensive, though poorly established due to the identification difficulties mentioned above. 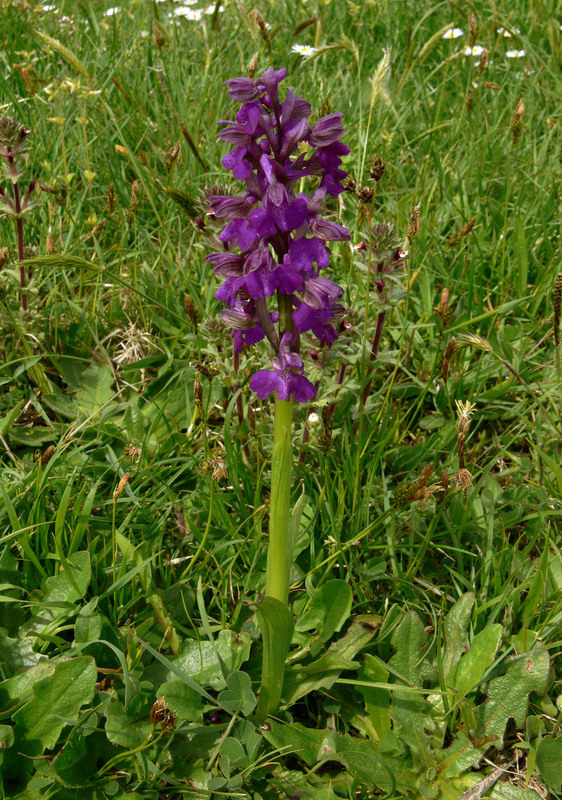 It is absent from Britain and Northern Europe but may well replace A. morio in more southerly areas. The pictures are from Italy (Cilento National Park) and Lesbos.